1886, February 28: Keeper John Walker dies of pneumonia. His wife Kate takes over his duties. The surrounding area: Not far from the National Lighthouse Museum (former Third District Lighthouse Depot) and the Statue of Liberty. 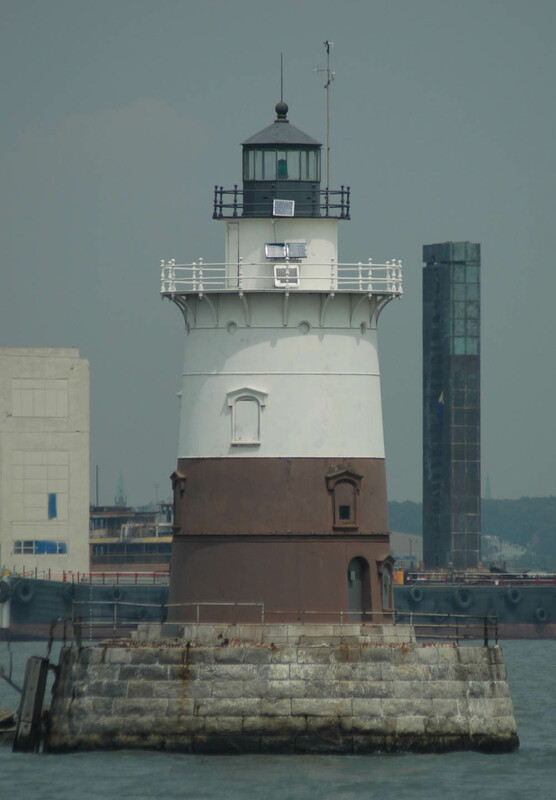 Other information: This light is best known for one of its keepers, Katherine "Kate" Walker. Kate was born in Germany in the 1840s, married Jacob Kaird after school, and had a son (Jacob). After her husband died, she and her young son emigrated to the US. She got a job as a waitress near the Sandy Hook Light, where she met assistant keeper John Walker. As John helped Kate learn English, a romance ensued. They later married. Kate enjoyed gardening at the Sandy Hook Light Station, but then John got transferred to the new Robbins Reef Light in 1883. In February 1886, John died of pneumonia. His last words to his wife are reported to have been, "Mind the light, Kate." Kate did mind the light, and her two children, and many mariners in trouble (she rescued an estimated 50 people). 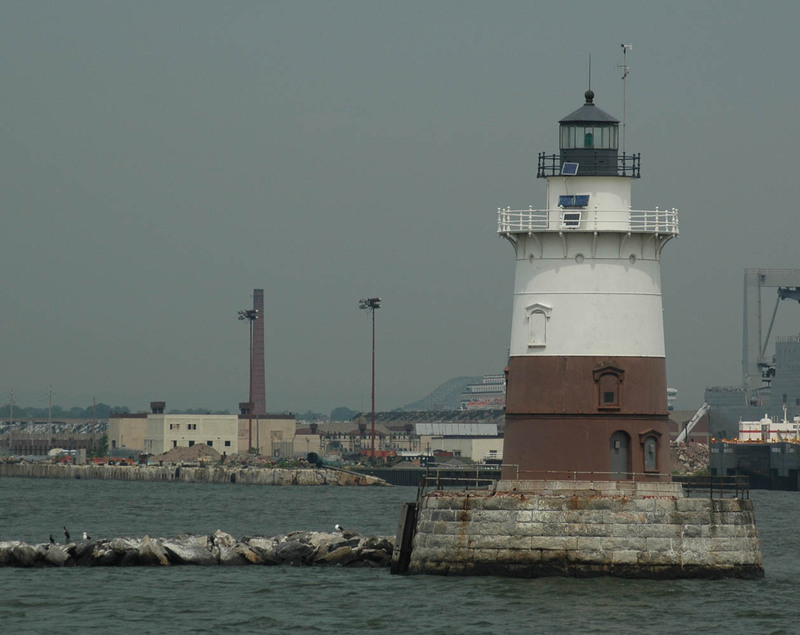 Kate stayed on at the light until 1919, when she retired and moved to nearby Staten Island. She passed away in 1931.